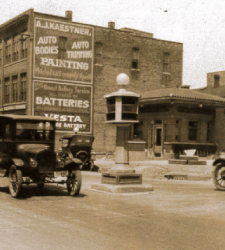 "Keeping Things Moving Since 1919"
Kaestner Auto Electric was founded in 1919 by the Kaestner family and was located on Kilbourne Avenue in Milwaukee, Wisconsin. It was later moved to 1605 W. Galena Street. In 1951, the company was purchased by Ralph Ullenberg, who also owned a company by the name of Nu-Way Auto Electric. 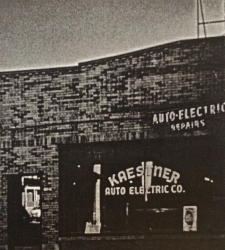 In 1974, Kaestner Auto Electric was moved to 6th and Greenfield Avenue. 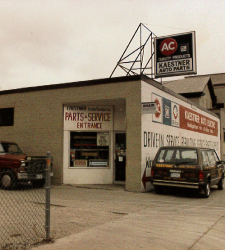 The main focus of the business was small engines, alternator and carburetor rebuilding, and general and commercial automotive electrical service. The ownership of the business was handed down to Ralph’s sons, Steve and Mark, in 1977. The business was operated out of the 6th street location. Steve took the business over as the sole owner in 1993. 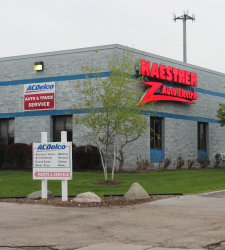 In early October of 1994, Kaestner Auto Electric moved into a new building at its present location in Waukesha, Wisconsin. Our building now has an up-to-date showroom, large warehouse, electrical unit rebuilding shop, and full service automotive and light duty truck repair garage. Be sure to check out our monthly specials Here! We also offer car and truck pick up and drop off services for residents and companies using our vehicle repair services in the Greater Waukesha area. For commercial accounts, we offer pickup and delivery service for our products and rebuilding shop within 75-mile radius. As we enter our 100th year, we will continue to provide the highest quality service and products that have kept us in business in the Greater Milwaukee area for this long! We’ve built our reputation by offering our customers honest & fair pricing. Give us a call today at (262) 547-9600 or stop by our service center!